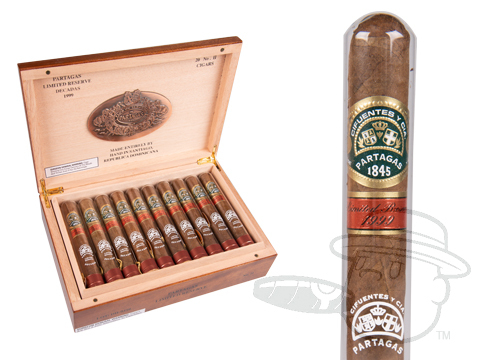 Widely known as some of the most rare cigars in the world, Partagas Decadas cigars have long been a staple on the want lists of collectors and connoisseurs alike. 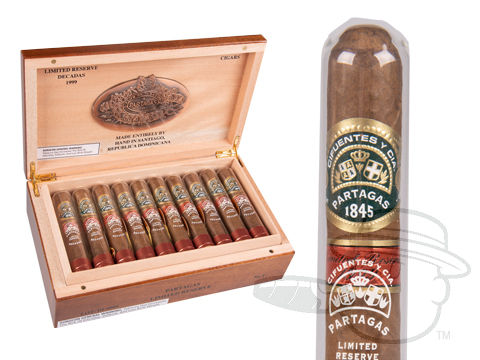 Now is your chance to capture the one-of-a-kind taste of Partagas Decadas at the lowest prices ever. Boasting a balanced blend of Nicaraguan & Dominican fillers under a hearty Honduran binder, the real magic of Decadas lies in its wrapper: a specially selected Cameroon leaf that was set aside for use in this special series back in 1997. The resulting cigars remain unmatched in rich flavor and effortless character, and are well-deserving of their legendary status. Originally released in 2005, we recently uncovered a lost cache of these unique tobacco luxuries. After an additional 11 years of rest, the blend is nothing short of flawless in its smooth delivery of complex and complimentary tasting notes. Gorgeously presented in ornate, commemorative boxes of 20 adorned with bronze Partagas medallions and including a birth-date certificate signed by the factory maestros, the storied Decadas blend is again yours for the taking.Supplies are extremely limited - don't miss your chance to put this piece of cigar history in your humidor at a dramatic discount.